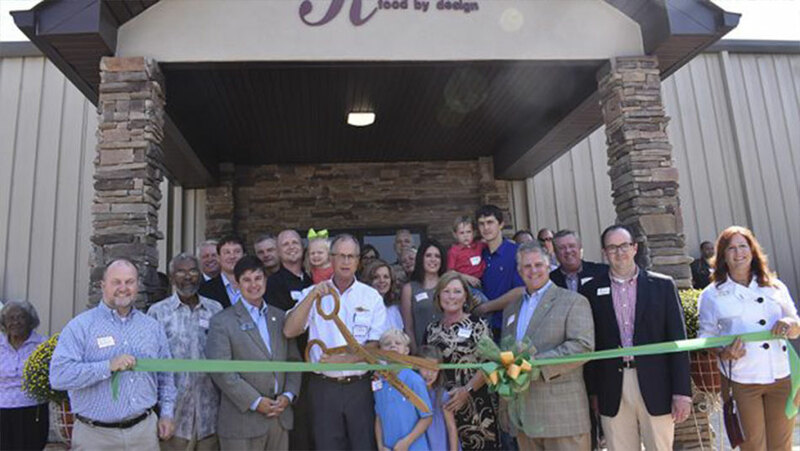 Kimble’s Food by Design, located in LaGrange, Georgia, is a blend of three food-focused services, all rolled into one unique, highly successful company. Kimble’s Food by Design provides vending, corporate cafeteria, and catering services to La Grange and the surrounding areas within a 90-mile radius. This growing concept offers a new twist for employee breakrooms and other environments. Established in 1985, Kimble’s has grown from a small start-up into a flourishing business with over 90 employees. This growth is due, in large part, to its focus on producing and offering a wide variety of fresh foods for its many clients, whether for corporate breakrooms, cafeterias, or special events. The company also enjoys bringing innovation to industry standards, such as in vending spaces, where it is removing traditional vending machines and replacing them with consumer-friendly fresh “micro-markets.” This growing concept offers a new twist for employee breakrooms and other environments, where more, and often healthier, dining choices delight diners and provide notable sales growth for the food and beverage company. 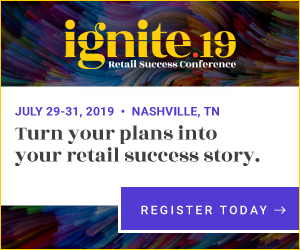 Kimble’s has taken the micro-market concept one step further by integrating cashless point-of-sale (POS) and self-checkout kiosks, creating both a fresh market breakroom and hot-bar corporate cafeteria in one efficient setting. This accommodates employees during breaks, offering faster service with shorter lines, more food and beverage options, and none of the hassle associated with cash handling at a register. A main component of this combined approach to food service is implementing technology to support the endeavor, which serves the needs of all parties involved and is affordable yet powerful enough to provide a quick return on investment. Kimble’s has chosen ECR Software Corporation (ECRS) to partner with on this project, and the early success has been astounding. In fact, this cutting-edge implementation is already inspiring future projects, as Kimble’s looks to further expand its reach and marketplace leadership. Below, Kimble Carter speaks with representatives from ECRS about a recent POS integration project in a large corporate cafeteria, which has transformed the employee dining experience and provided Kimble’s with an 18% uplift in profit growth. When did you begin looking at the micro-market concept and what led to your decision to move forward with it? We first started looking into micro-markets around seven years ago, when they began emerging in the vending marketplace. As a business owner, it is important to keep your finger on the pulse of the market and know what the next big thing will be. This seemed to be where the market was headed, and we were not going to be left behind. We could also see the many benefits for the consumer, employer, and vending company offered by a micromarket approach. It provides fresh food in a more inviting, marketstyle setting. If employees are enticed by an improved setting and elevated food choices, they will purchase more products, resulting in more sales for us. The employers have nothing to lose; they simply give the go-ahead and receive the benefit of healthier, happier, and more efficient employees. Why did you decide to partner with ECRS in fulfilling your micro-market goals? We appreciated the fact that both companies were located in fairly close proximity to us, had good reputations, and really offered a complete package, from aesthetics to industry knowledge to technology. We looked into other vendors and ECRS’s technology just seemed much more robust and in-depth. ECRS is on its game, from product to support. It has a long track record of success and stability. What are some specific areas in which ECRS’s technology differentiated itself from others in the field? First of all, ECRS simply had a better track record and more cohesive strategy, from development to deployment. ECRS has been in business since 1989 and is entrenched in the retail landscape, so we knew it wasn’t going anywhere. Secondly, ECRS does not solely rely on a web-based software platform. While web-based technology may sound good in theory, I can say from experience that the majority of problems in a breakroom or corporate setting occur because of internet issues. So, if you’re using a web-based platform and the internet goes down, the user will experience at least some functionality loss. We recently had a site lose its internet connection for two days. With other systems, that site would have experienced limited service for those two days. The ECRS system is extremely reliable and rock-solid stable, and so we didn’t have to face that problem. Thirdly, ECRS offered a more complete system than others, with self-checkout, point of sale, inventory, loyalty, and back office functionality. Finally, the fact that ECRS’ CATAPULT system was PA-DSS certified for PCI compliance was huge for us. You only need to turn on the news to see how important card data security is for any business. This seemed to be where the market was headed, and we were not going to be left behind. Describe your recent installation with POS integration. Kimble’s worked with ECRS to set up an employee dining experience consisting of both a market-style breakroom and corporate cafeteria with hot bar. This was for a large, corporate site with 700-750 employees. With their previous set-up, lines were very long and cash handling presented almost constant issues. Now, on one side of the space they have a micro-market with two self-checkout kiosks and the other side has a cafeteria set up with a cashless POS. Customers going through the POS line pay via credit, debit, or a pre-loaded employee card. By removing cash from the POS lane, you do away with all of the hassle that comes with cash handling at the register level, such as change banks, deposits, cashier accountability, tedious back office procedures, and money counting. It has also pretty much eliminated “buddy system” discounts at the register. By eliminating cash handling, the lines go much faster, enabling employees to actually have time to sit down and enjoy their lunch, which was a big problem before. We’ve been on this account for over five years, and dealing with cash handling and long slow lines had always been major issues. This new configuration eliminated these problems and the user feedback has been nothing but ecstatic. If customers prefer to use cash, they simply go to one of the two kiosks and load money onto their pre-paid employee card. These cards can be used to pay at any station. The average transaction takes seconds. By adding the two self-checkout kiosks, employees just wanting to pick up a quick snack no longer have to wait in the same line as those purchasing full meals from the cafeteria. For our business, it means more sales in a shorter period of time with less effort. How has this new hybrid micro-market/cafeteria installation been received by employees? The response has been fantastic, nothing short of delightful. The system has been extremely easy for people to use, and we’ve experienced nothing but positive results. The kiosks guide users through each transaction quickly and easily, with no extra thought required. Briefly explain the deployment and support side of implementing and maintaining this technology. From the time we send in an order to the time of system installation, everything is impressively handled, down to the last detail. If anything, ECRS are usually waiting on something from us. The deployment and project management teams streamline the entire process. By the time we are ready to go live with a site, it’s basically “plug and play.” The timeline is typically three to four weeks from when we submit an order to when we are up and running. The technical support is also fantastic. I don’t think we’ve run into one instance where a technician didn’t know what to do to fix our issue. They are knowledgeable, prompt, and courteous. How many sites do you currently have deployed with ECRS? We currently have four site installations, with five more coming up soon. Do you feel micro-markets are profitable for vending companies? Kimble’s has experienced a very swift return on investment. If you’re just taking into account gross profitability, it pays for itself in a matter of weeks. Since installing this hybrid site, we have experienced an 18% sales lift and noticeable decrease in shrink.